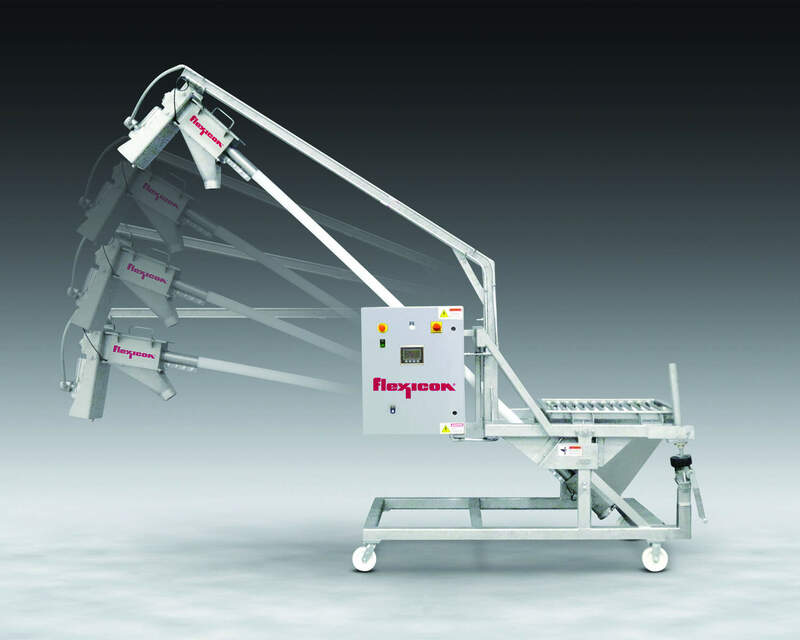 New from Flexicon is a Sanitary Flexible Screw Conveyor that can be tilted down and rolled to serve multiple functions. Using a manual jack screw, the support boom and conveyor can be raised for discharging into vessels or other process equipment. Fully lowered, it can be rolled through doorways as low as 7 ft (2134 mm) in height, and aisles as narrow as 42 in. (1067 mm).